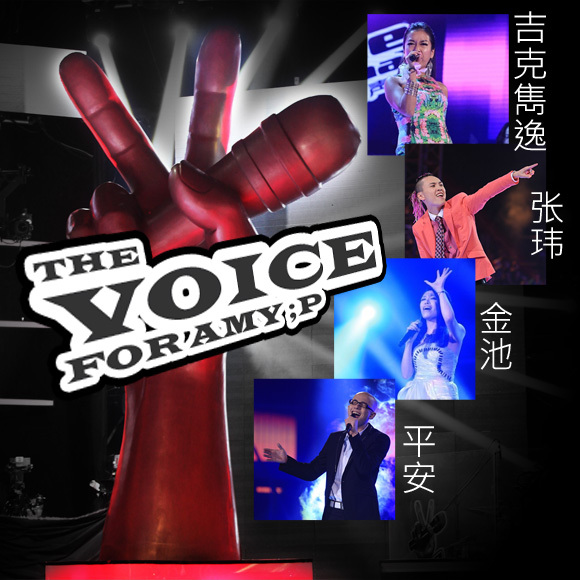 The Voice of China: My Top4 | personal.amy-wong.com - A Blog by Amy Wong. This is it. This is why I don’t follow reality TV contests, and this is my final posting on The Voice of China, which I had greatly enjoyed at the beginning for its variety in music styles. But after a few episodes that tended to be on the frustrating side… I just… can’t take it any longer. I think the final is next episode (and Adam Lambert is supposed to be on). It was a good ride, but I do not wish to see the ending to this. But according to Wiki (I know… not so reliable, but still…), Summer — even though she’s the only one that made it to the Top4 from my list — placed 3rd. And… just, no. No way. Reality check, please. And Yang Kun, how did Ping An’s standing-ovation performance of Queen’s We Are the Champions not make him immediately advance as the winner of the day??? He sang the song and did it justice, and he had BIG BIG shoes to fill with that one. And he sang it… he sang it for everyone and with conviction.